Dig and excavate one of the nature's sharpest weapons, shark teeth, with 4M! Make two glow-in-the-dark shark teeth necklaces. 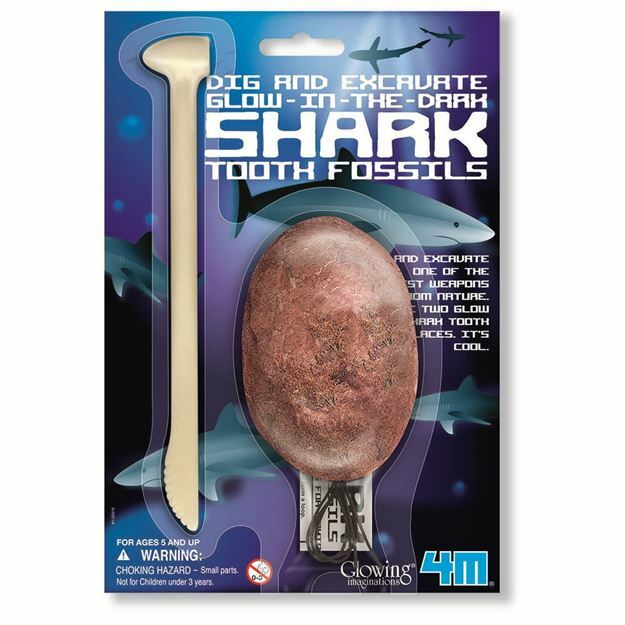 Includes: 2 glow in the dark shark teeth embedded in a plaster block, a specially designed digging tool, fabric cord, and instructions for making knots used in the necklaces. Age 6+ years. Part of the KidzLabs range. Distributed in New Zealand by Holdson.